Ribbon loops made from old car inner tubes hang on the axles of electric motors. Each loop just touches the ground acting like a flexible wheel. The resulting movement builds up to a kind of dynamic wave comparable to the smoke of a cigarette. 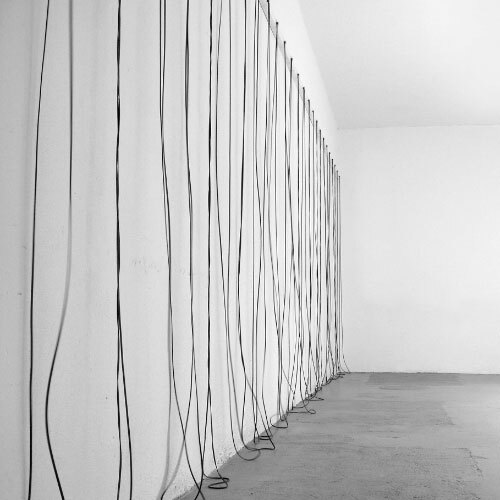 The ribbon loops seem to dance and leave a trace of their passing on the wall.